After a regular and special session, four state executions, and floodwaters threatening lives and commerce, Governor Asa Hutchinson has been in overdrive the first five months of 2017. “It’s been a very busy five months, I’m ready to catch my breath, I’m sure the state’s ready to catch its breath as well,” said Hutchinson, who appeared on this week’s edition of Talk Business & Politics. In the most recent special session and with action from Washington, D.C. last week, healthcare has been front-and-center on the governor’s radar. 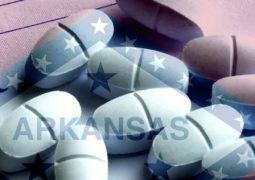 One of the biggest changes to the state’s Medicaid expansion program – Arkansas Works – will move 60,000 Arkansans in the 100%-138% federal poverty level range off of Medicaid and into other alternatives. When asked if that change was good policy or necessary policy, the governor said it was good because it was necessary. Acknowledging that there are political risks to the change, Hutchinson said that not every person who will be affected would be impacted all at once. As individuals come up for renewal, he anticipates a transition process that could take 10 months. He also anticipates a system of stakeholders to communicate options, but expects individuals to take some part in understanding their health insurance choices. At the federal level, Hutchinson views the recently-approved House GOP plan as a starting point to get the process of repealing and replacing the Affordable Care Act unwound. He’s hoping the capitol’s upper chamber will improve the final product. “What needs to change on the Senate side is that we need to have less of a cost shift to the states, and that’s what we see right now, and that’s a concern, but we want to have an end product that actually saves money for the states, helps us to manage it well, but also helps us to reduce the expense to the federal government,” he said. Hutchinson expects high-risk pools to help those with pre-existing conditions, although that carries political and life-implicating risks. If the Republican-led plan doesn’t lower premiums and expand access, will it be viewed as a failure? “I don’t think you can set those measuring sticks,” said Hutchinson. “For example, whenever you look at the premiums, in Arkansas our premiums have been a much more modest rate of increase than other states. Why has that happened? It’s because we have this unique model that those that have been in the Medicaid expansion pool have been in the private insurance market, that gives a larger pool of people in which keeps the rates I think at a lower level. It also expands the risk to a larger pool and it keeps more insurers into the state. “In terms of the number of uninsured, that’s something we’re going to watch carefully, but it’s also, we’re shifting from a government responsibility to some individual responsibility, and as long as you give people the option as to whether to have health insurance or not, some people are going to choose not to. And so unless you have that mandate that everybody has to have it, then you’re going to have some people who will not do it, will put it off and they’ll wait until they have an injury to be covered… If you don’t have the mandate, there’s some unknown qualities there, but the individual mandate didn’t work and it’s not the right direction,” Hutchinson said. In April, Gov. Hutchinson and the state of Arkansas conducted four of eight planned executions of death row inmates. The two-week schedule was the first time in 12 years that the state has carried out the death penalty. Hutchinson said he learned the legal system in these cases has gotten much more sophisticated. “I learned that the legal system’s not easy. Whenever you want to give meaning to the law and you carry out the verdict of the jury, there is a international and national advocacy group that tries to fight you every step of the way. Obviously you should have a lot of scrutiny and we had a great deal of scrutiny during those two weeks. I look back on it, I think I made the right decisions, both in setting the dates and doing it in the way we did it,” he said. When the governor gives the final order to proceed with an execution, Hutchinson described it as a “somber moment” that required reflection. Hutchinson will be facing a request for mercy this week. The Arkansas Parole Board recommended executive clemency for death row inmate Jason McGehee. A clemency request is a recommendation that must be approved by the governor to reduce a prisoner’s sentence. This weekend, a 30-day public comment period ends and the decision rests in the governor’s hands. The governor has also not made any decisions on when another execution or round of executions may take place. Several appeals for inmates remain and the state’s ongoing challenge to find a supply of lethal injection drugs suggest that it may be be months before Arkansas is in a position to restart its execution process. In the Talk Business & Politics interview, Gov. Hutchinson also discussed recent flooding that has devastated parts of the state, an upcoming computer coding tour, and his plans for a vacation later this year. Watch his full interview below.